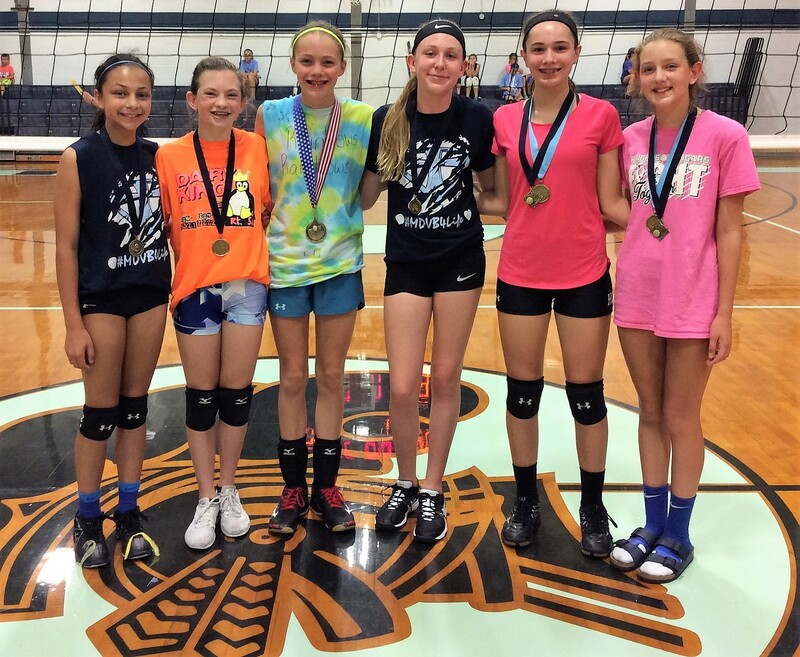 Volleyball Camp award recipients for grades 4-6: (from left) Mabry Benhoff – Camp Kangaroo (18″), Rebecca Cowgill – Top Setter, Bree Jasper – Top Passer, Lauren Jamruk – Top Server, Addie Lampe – Fred Rakers “I Bleed Blue” Award, and Claire Albers – Top Attacker. 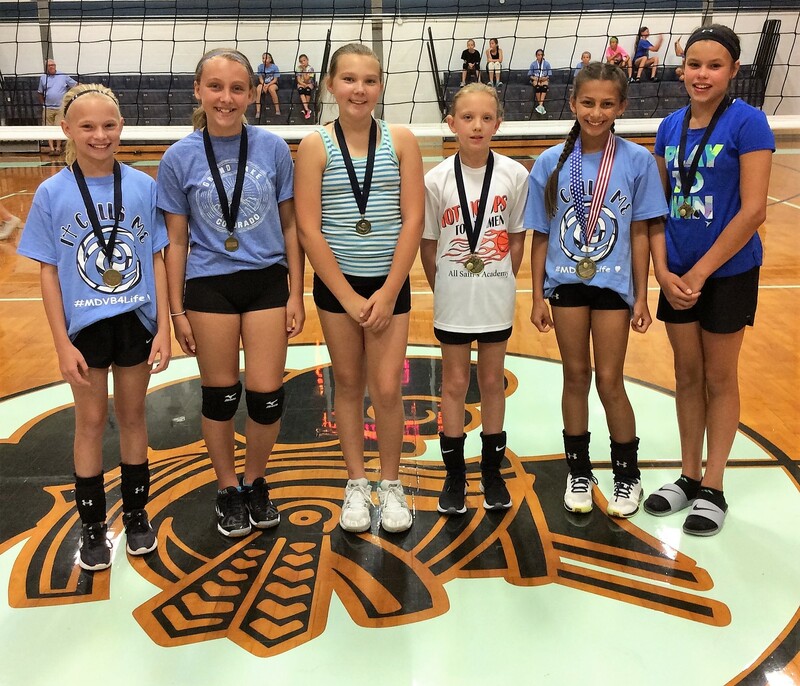 Volleyball Camp Hustler Award recipients for grades 4-6: (front row, from left) Reagan Napovanice, Lucia Crawford, Nev Kramer, and Mallory Strubhart; (back row, from left) Alyssa Koerkenmeier, Kylie Rakers, Addie Santel, and Cecelia Toennies. Maddy Huels and Zoe Luth are not pictured. 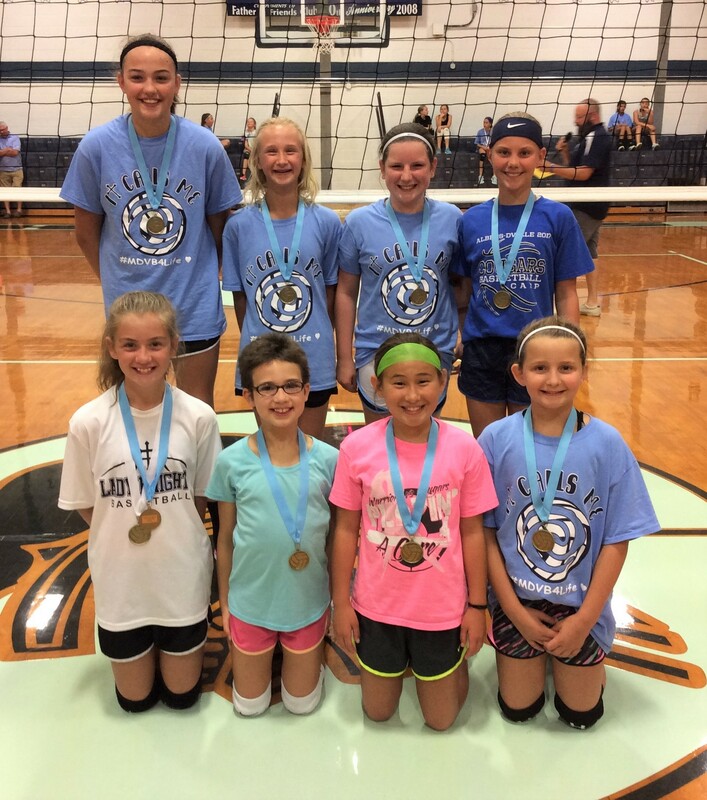 Volleyball Camp tournament champions for grades 4-6: (front row, from left) grade 4 – Ava Lampe, Ella Netemeyer, Avery Hemker, and Morgan Holcomb; (middle row, from left) grade 5 – Lauren Jamruk, Kara Schomaker, Reagan Napovanice, and Aubrey Melton; (back row, from left) grade 6 – Sophie Beer, Alyssa Koerkenmeier, Carly Mueller, and Kennedy Nicklin. 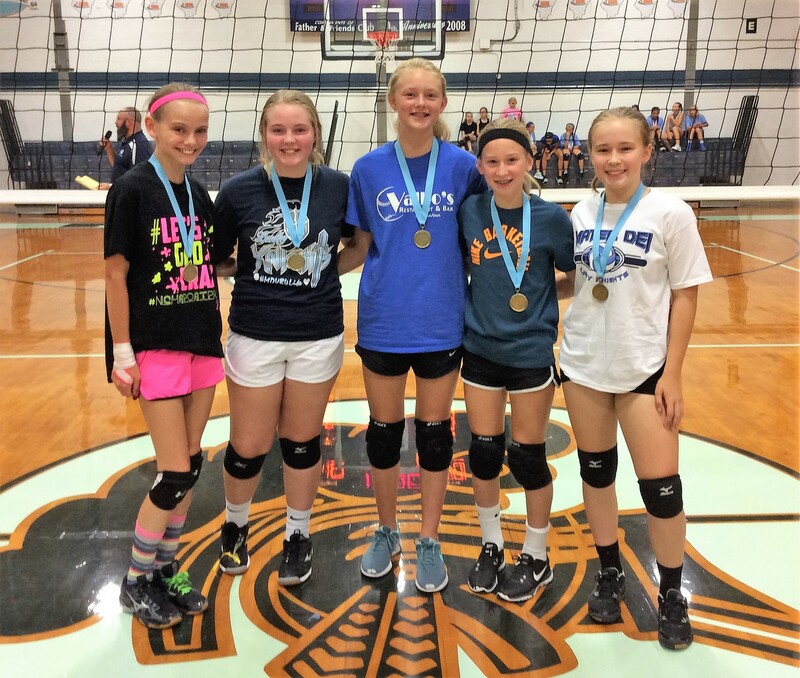 Volleyball Camp award recipients for grades 7 and 8: (from left) Alivia Lampe – Top Passer, Kayla Zurliene – Camp Kangaroo (24″), Alexis Kampwerth – Fred Rakers “I Bleed Blue” Award, Emma Taylor – Top Blocker, Elena Schrof – Top Attacker, and Ashleigh Jamruk – Top Server. 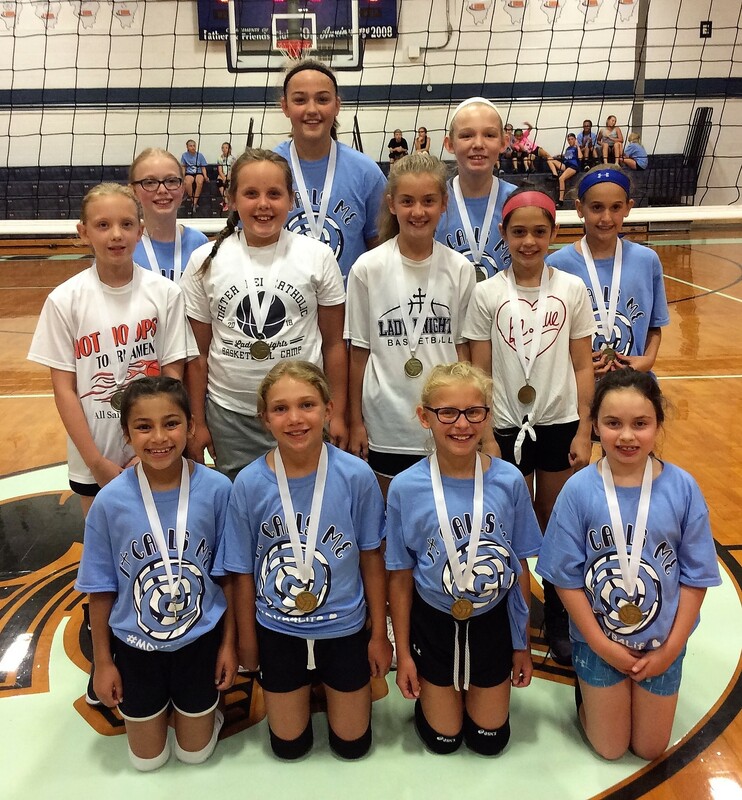 Delaney Morio – Top Setter is not pictured. 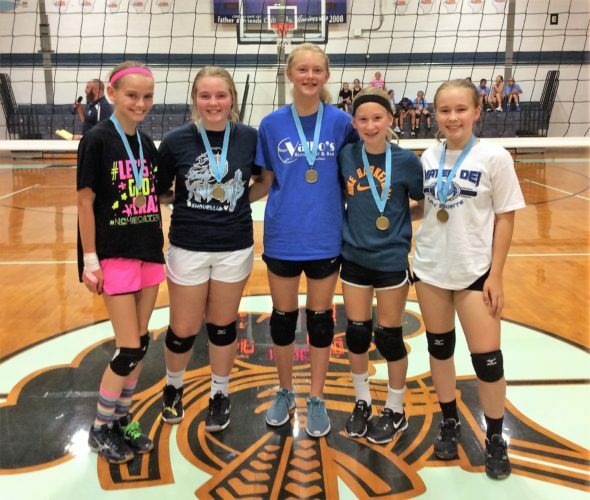 Volleyball Camp Hustler Award recipients for grades 7 and 8: (from left) Reese Varel, Marley Jansen, Kadence Schroeder, Sophie Timmermann, and Lauren Jeffries. 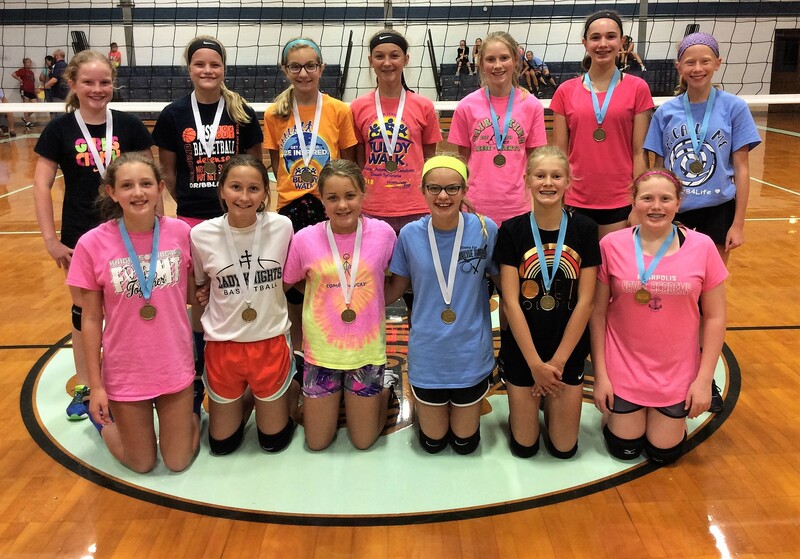 Volleyball Camp tournament champions for grades 7 and 8: (front row, from left) Ashleigh Jamruk (8), Cecelia Richter (7), Averie Catlin (7), Hanna Nave (7), Carley Emig (8), and Carmen Foppe (8); (back row, from left) Alayna Benhoff (7), Harley Gebke (7), Sam Muscarello (7), Danica Helmkamp (7), Lizzie Detmer (8), Elena Schrof (8), and Avery Rahden (8).